Shahar Wollmark, an Aerospace Engineering M.Sc. student under the supervision of Dr. Yinon Yavor and Prof. Em. Alon Gany, has won the 2017 Gemunder Prize for Space Defense Related Technologies. His innovative research deals with Aluminum-Water green propellants for space propulsion systems. 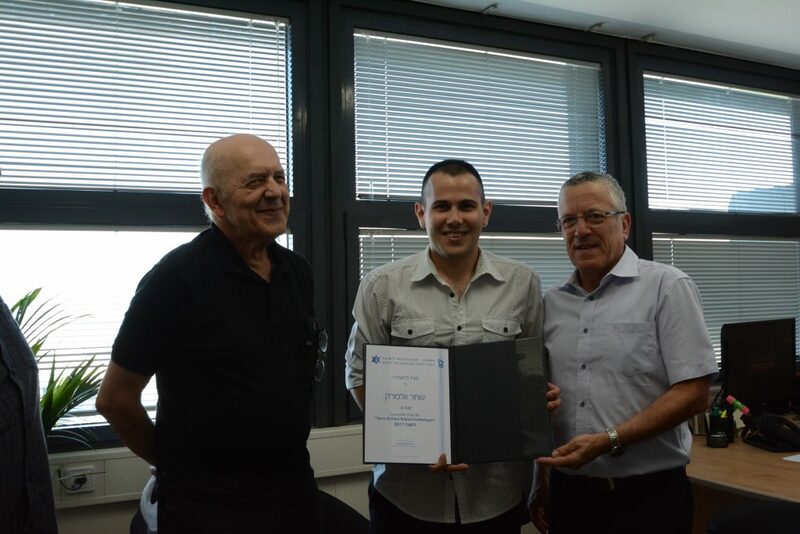 In addition to the prize, Shahar also received funding to develop and elaborate his important study. He will present his research later this year, in the upcoming annual symposium of the Center for Security Science and Technology. 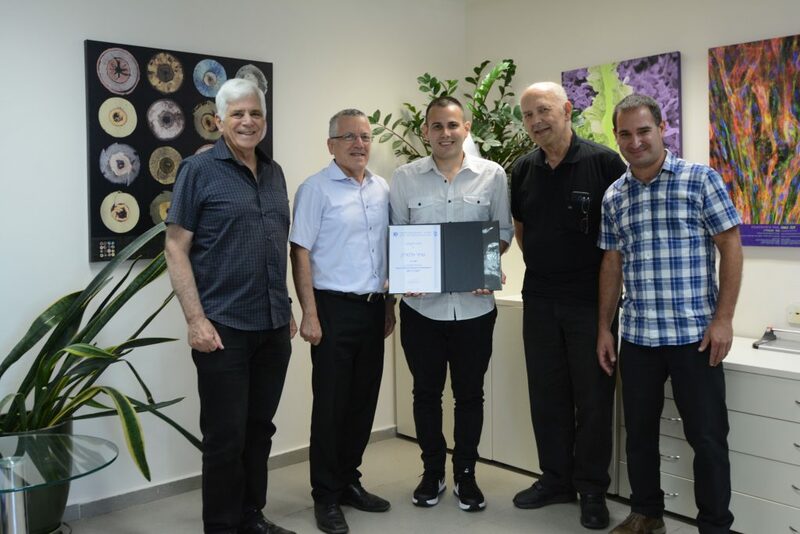 Shahar was awarded the prize earlier this year, in a ceremony held in the presence of Prof. Boaz Golany, the Technion Vice President for External Relations and Resource Development, and Prof. Em. Avi Marmur, the Head of the Center for Security Science and Technology. Congratulations to Shahar, Yinon and Alon !